There is a huge demand for Airline Limo service in present days. Understanding this ever increasing need for best Airline limo Toronto, Service plus limo offers you best Toronto airline limousine. We are one Toronto airline Limo hire company that really cares for its clients. Our limo chauffeurs are there to offer you great warm welcome inside airport terminal with a sign board in their hand. You can experience a hassle-free, smooth and comfortable journey to your desired location with our airport limo Toronto. Our unmatched limo rentals are better than other competitors in market. If you are tired of waiting for cabs, or simply dissatisfied with inefficient and ill-mannered chauffeurs, we have a perfect solution for you. It is not always easy commuting from Pearson International Airport to your place. We offer you wide variety of Airline limousine Toronto. By hiring one Limousine with us, you can have all benefits that offer you comfortable and soothing travel. Our chauffeurs are well trained, courteous and skilled who will always care for ever increasing needs of their corporate clients. Traveling with our Airline limo Toronto, you will surely experience enjoyable and memorable limo ride. We can make your travel pleasant, luxurious and stress-free to and from the airport or on any route in the Toronto area. Our airline limo service is cost-effective and has been the choice for various corporate employees, CEO’s, individual entities and celebrities. 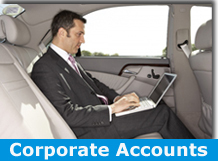 Our dedicated corporate account managers ensure a business class services for your business transportation needs. We pride ourselves in offering our clients with a wide array of limousines to select one as per their need and budget. Our airline limo Toronto services are not only hassle-free and relaxed, but we also understand the importance of sophistication, class and privacy. We continuously strive hard to offer you with best ever Toronto airline limousine at unparalleled rates. Our limousines are well-maintained with shining exteriors and remarkable interiors that will surely make you spell bound. We offer you high quality airline limo Toronto services project the hi-class status symbol of our clients. We give paramount importance to the needs of busy executives and select cars and chauffeurs that are at par with your expectations. Our chauffeurs offer you best door to door limo service, where you are picked up at the airport and driven to a hotel, residence or office or picked up from an office, residence or hotel to be driven to the airport. Our chauffeurs are having a thorough knowledge of the local roads and important destinations around the city. They will never let you be late on your destination. 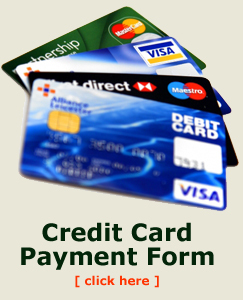 Twenty-four hour, seven day a week airline limo service is provided. As it’s always with some expectations that one plan to hire a limousine, we try to fulfill all you expectations. We promise you safe, comfortable and satisfying journey.